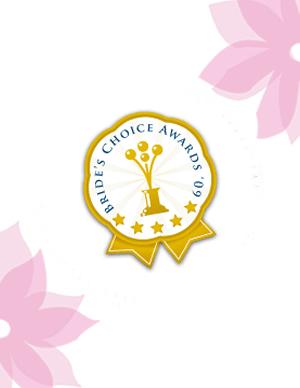 Fresh Beauty Studio has been chosen to receive a2009 Bride’s Choice Award! This award recognizes the top 3% of vendors from the WeddingWire Network who demonstrate excellent quality of service, responsiveness, professionalism, value of cost and flexibility. Unlike other awards in which winners are selected by the company, the Bride’s Choice Awards are determined exclusively by recent newlyweds through surveys and reviews. That means Fresh Beauty Studio’s past clients have spoken on their behalf and chosen FBS for this honor!